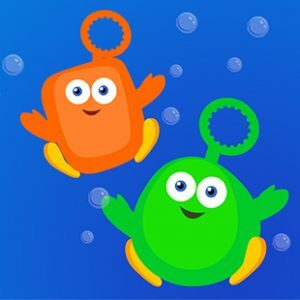 Join characters Red and Blue for bubbles of fun! In every episode of “Bloop and Loop”, these friends use their imaginations to think of objects and living creatures. Then, Red and Blue take turns guessing what the other is imagining, and the shape is created by a whirlwind of bubbles! Young viewers learn to use their imaginations and are introduced to new words all at the same time. See what time Bloop and Loop is playing!